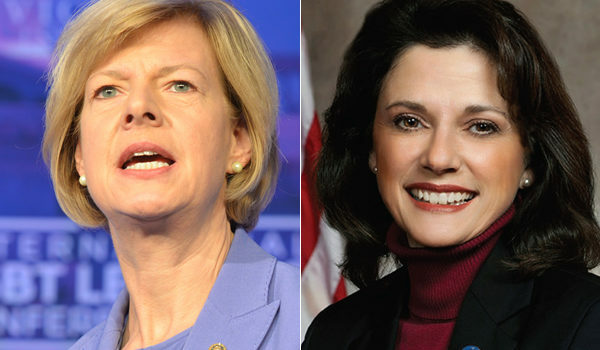 A new poll from Marquette University shows Sen. Tammy Baldwin (D-Wis.) in a dead heat with her Republican challenger Leah Vukmir, showing a tightening race as Election Day approaches. The poll from Marquette University Law School finds a plurality of 49 percent likely Wisconsin voters support Baldwin, but Vukmir is two points behind in the race at 47 percent. Moreover, 3 percent of respondents in the poll said they were undecided, which would be enough to put Vukmir over the edge if they entirely side with her on Election Day. The poll is made public shortly after the Wisconsin primary in which Vukmir, the GOP establishment candidate, came out on top in the Republican primary against the Steve Bannon-backed Democrat-turned-Republican Kevin Nicholson. The Marquette University poll stands out among other polls in recent weeks that had Baldwin with a significant double-digit lead over Vukmir. Among all registered voters in Wisconsin voters as opposed to likely voters, the polling is more consistent with earlier numbers. Baldwin has a commanding lead of 51 percent compared to 43 percent for Vukmir. The new polling could be reflective of the continued TV ads aired in Wisconsin against Baldwin funded by Koch brother-backed Super PACs, which see Baldwin as vulnerable and have spent millions in the race to unseat her. The Marquette University poll also found incumbent Republican Gov. Scott Walker now in a 46-46 dead heat with Democratic candidate Tony Evers. Following the two is Libertarian candidate Phil Anderson with 6 percent of the vote and 2 percent who are undecided. This article originally appeared in the Washington Blade and is made available in partnership with the National LGBT Media Association. 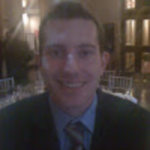 Chris Johnson is Chief Political & White House Reporter for the Washington Blade. Johnson attends the daily White House press briefings and is a member of the White House Correspondents' Association.